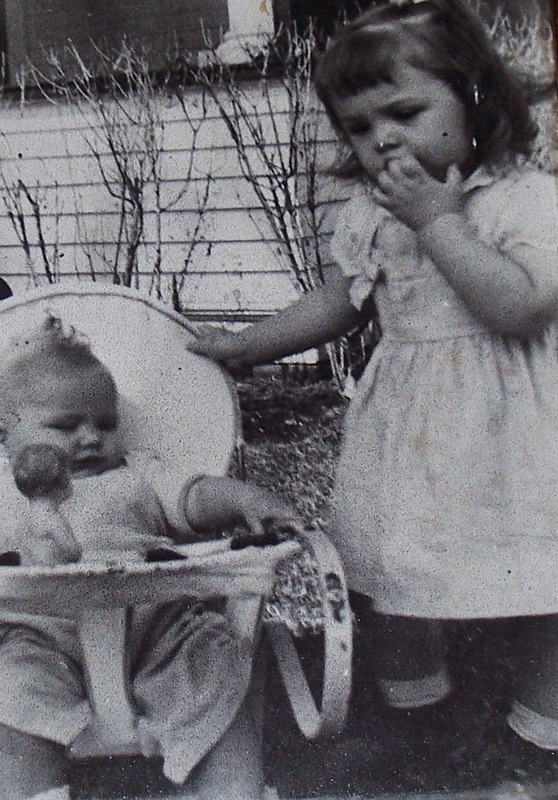 This is my sister and me apparently way back before they invented color photos! Anyway, this was taken in 1956. My sister Lois is exactly one year younger than me.